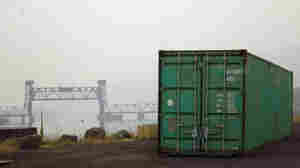 September 18, 2015  A labor dispute at the Port of Portland has brought container shipping from there to a halt. 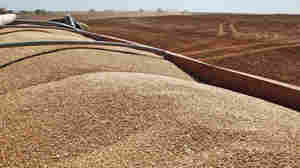 That means lentil and chickpea farmers are having a difficult time getting their crops to foreign markets. September 7, 2015  Many fruits and vegetables must be harvested by hand because it's hard and costly to design machines that won't damage them. But as farm labor dwindles, there's a new push to develop more farm robots. 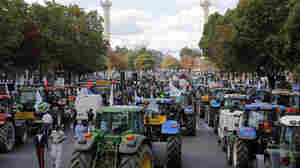 September 3, 2015  More than 4,000 French farmers took to the streets over falling food prices. 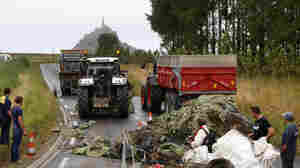 The protests are a fallout of EU's agricultural struggle to stay competitive globally. August 27, 2015  While the drought has put a strain on California agriculture, its farms actually set a record for total sales — $54 billion — in 2014. How? By pumping more water from their wells. 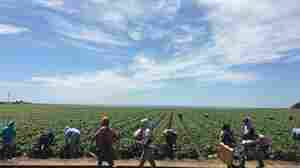 August 27, 2015  More than 21,000 are out of work this year from California's drought, a study says. 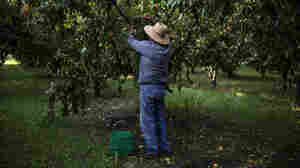 The majority are farmworkers, and those lucky enough to have a job are often working longer hours for less money. August 3, 2015  More than 80 percent of people in South Korea live in cities. But in the past few years, there has been a shift. Tens of thousands of South Koreans are relocating to the countryside each year. July 27, 2015  Greece grows plenty of good agricultural products, but has trouble competing internationally. Many in Greece say it's time for the farm sector to modernize. 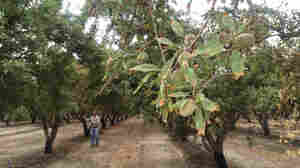 July 24, 2015  California's ongoing drought has forced many almond growers to use groundwater on the thirsty crop. 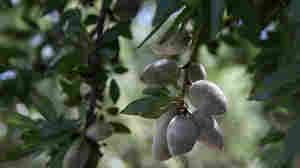 The problem: That water is high in salt, and it's killing almond trees. July 21, 2015  President Francois Hollande said he would present an emergency package of measures that would give farmers tax breaks and financial aid to save them from bankruptcy, the Telegraph reports. July 6, 2015  A company is introducing mechanized rice farming to the interior of Malaysian Borneo for the first time. Scientists say the change may damage the bonds between the local people and their environment. 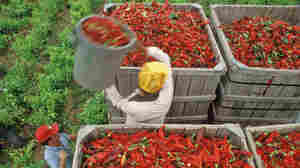 Do Organic Farmers Need Special Seeds And Money To Breed Them? 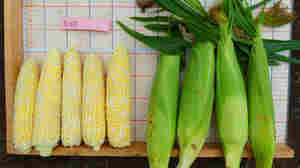 July 2, 2015  Organic farmers say they need crop varieties that were bred specifically for conditions on their farms. Clif Bar & Company decided to back their cause with up to $10 million in grants. June 9, 2015  Years of drought have taken a toll on agriculture, particularly cattle ranching. Now instead of too little water, there's too much. 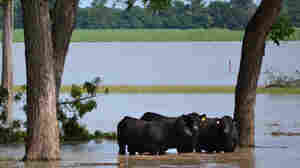 But the rains may revive pastures and allow rebuilding of herds.